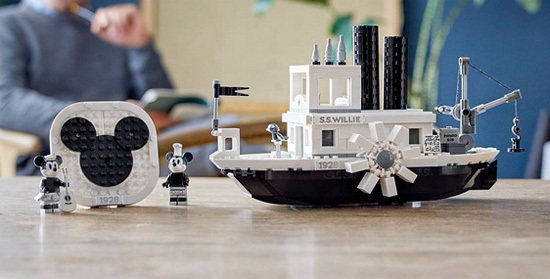 If you are a Micky Mouse fan, here is an iconic LEGO set of Micky Mouse, Steamboat Willie. 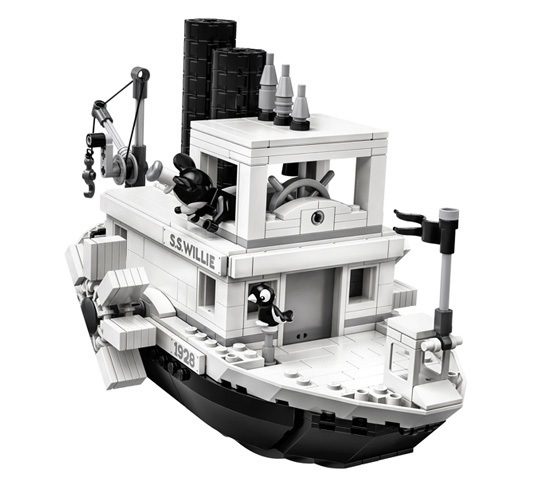 This set has a total 751 pieces which most are monochrome with black, grey and white bricks. 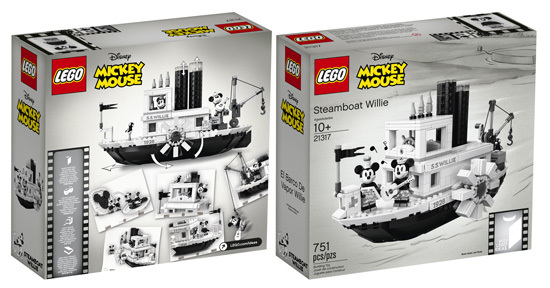 The packaging beside Mickey word and LEGO logo, the rest are having the monochrome color as well. 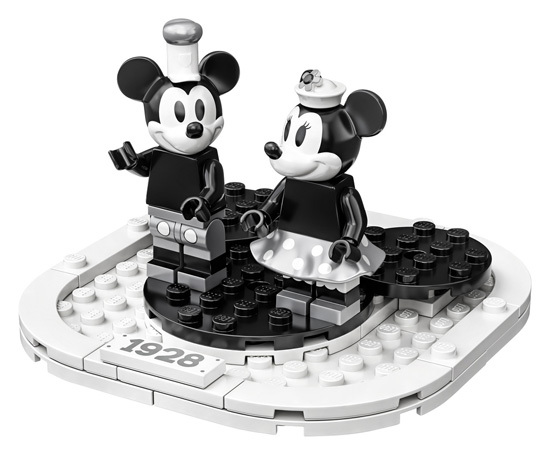 This set come with Mickey and Minnie in black and white version just like the cartoon. 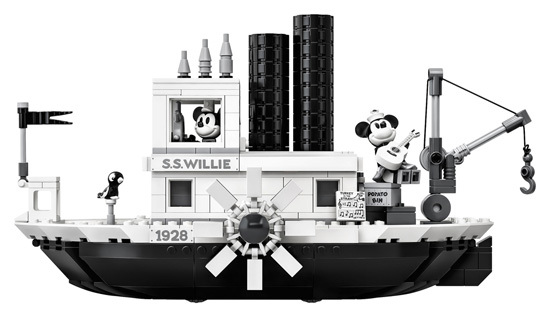 It will also come with bricks to form the Micky logo base. The boat is rather simpler looking but there are movable parts such as the paddle wheels on both side and the 2 funnels that would go up and down as the wheel move. Here is how it look in a real world with colors. So look out for it next week or so at your LEGO shop!